Happy days are here again for housing … sort of. After more than a decade of boom and bust, a vital part of the U.S. economy may be finally returning to normal. That could be very good news for growth. Signs of stability include slower price rises and fewer sales of distressed properties. 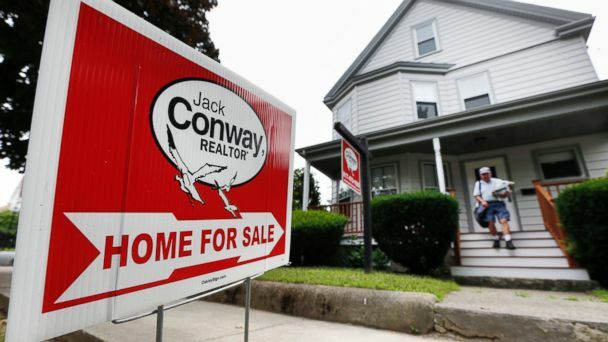 Foreclosures dropped sharply in July, falling more than 21% in the past year, says data firm CoreLogic. On a month-over-month basis, completed foreclosures were down by 8.5%. “The stock of distressed debt continues to rapidly decline, especially in western states,” economist Sam Khater said. True, the housing bust resulted in years of misery and broken dreams for millions of people. But others are starting to see their recent investment pay off. “Based on current trends, the overall foreclosure inventory could trend down to as low as 500,000 homes by year-end, which is very positive news for the housing market,” Anand Nallathambi, president and CEO of CoreLogic, said. After a slow climb back from the financial crisis of 2008-9, growth may be revving up. The upward revision supported expectations that the second half of 2014 will prove far stronger than the first half. And there’s a little good news for motorists. Labor Day will be the cheapest holiday travel weekend in four years: “Mildly cheaper than last year, quite a bit cheaper than in 2012,” Tom Kloza, chief oil analyst at GasBuddy.com, told me. Despite unrest in the Middle East, “We are producing about 3.1 million barrels a day more domestic crude in the United States than when the first Arab Spring took place,” he said. U.S. gasoline demand has also been reduced by more fuel-efficient vehicles. Burger King’s Northern Exposure: Out of the Frying Pan Into the Fire? 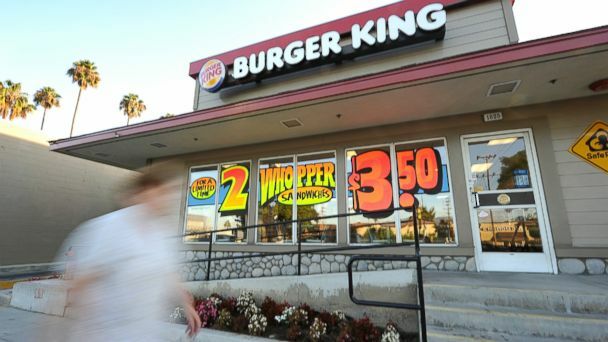 Burger King is facing a grilling from critics of U.S. companies that move overseas to cut their tax bills. “I’ve eaten my last Whopper,” is among the many angry comments on Burger King’s Facebook page. That one received more than 1,000 “likes” at the company’s social media site. BK announced on Tuesday that it would buy the popular Canadian coffee and doughnut chain Tim Hortons for more than $11 billion, and move the corporate headquarters of the combined firm to Canada, where corporate tax rates are lower than in the U.S.
Liberal Sen. Sherrod Brown, D-Ohio, wants U.S. consumers to spend their burger dollars elsewhere . Other Senate Democrats are calling for legislation to limit tax inversions by American companies that takeover foreign firms largely for fiscal reasons. But the CEO of Burger King insists the deal is not about taxes. And there appear to be strong competitive reasons for this move. While the fast-food giant is much better known and has many more franchises, Tim Hortons is the most profitable of the two. The merger could also heat up the company’s share of the fast-growing breakfast market and create the world’s third largest fast-food chain. And besides, say BK boosters, why shouldn’t a firm look after the best interests of shareholders by lowering its tax burden? Perhaps the move will also re-start the stalled debate over complex U.S. corporate taxes. This is not merely about high American rates, with loopholes and write-offs for some businesses but not others. The controversy also involves global taxes. Critics of these rules say the system is to blame for billions of dollars being parked off-shore by subsidiaries of U.S. firms. The argument, they insist, is about more than businesses paying their fair share. It also involves Congress and whether it will act to reform the corporate tax code.